A recently completed $3 million upgrade to infrastructure is providing enhanced clinical services to the Charters Towers community. An acute primary care clinic providing outpatient services and ambulatory care to the community. Cardiology and orthopaedic outreach services have commenced to reduce patient travel requirements. Visiting outreach services include endoscopy, respiratory medicine and paediatrics. Community-based staff provide school based health support as well as child health, mental health, community antenatal and postnatal midwifery services. Telehealth services are available, via video-conference, linking patients with specialist services, reducing the need for patient travel. 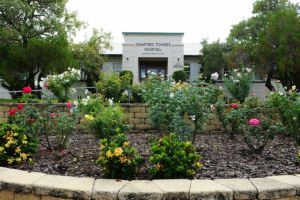 The Charters Towers Health Service can provide financial assistance through the Patient Travel Subsidy Scheme to eligible patients who need to travel away to other health services for procedures and tests not available locally. Dental services are available on-site, including school dental services.